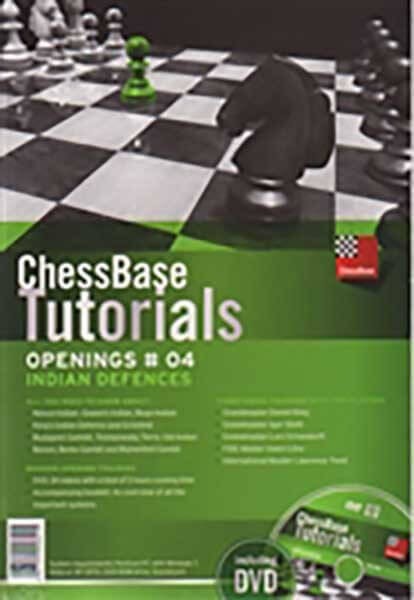 Openings # 04: Indian Openings" (1.d4 Nf6) is the fourth in a series of five volumes dealing with the fundamentals of opening play in chess. In it, experienced tournament players and experts in each specific opening will teach you what you absolutely have to know about the King's Indian, Nimzo Indian, Queen's Indian, and Bogo Indian. Moreover, the Benko Gambit, Budapest Gambit, Benoni and Modern Benoni, and even 1d4 d6 2.c4 e5 is covered. In 24 video lectures with a total running time of over 5 hours, grandmasters Daniel King, Igor Stohl, Lars Schandorff and others will acquaint you with the basics of the various systems and give you valuable recommendations as to what to play. System requirements: PC with Windows 7, Vista or XP (SP3), DVD-ROM drive, Soundcard.